Discussion in 'PS Vita News' started by STLcardsWS, Sep 29, 2018. 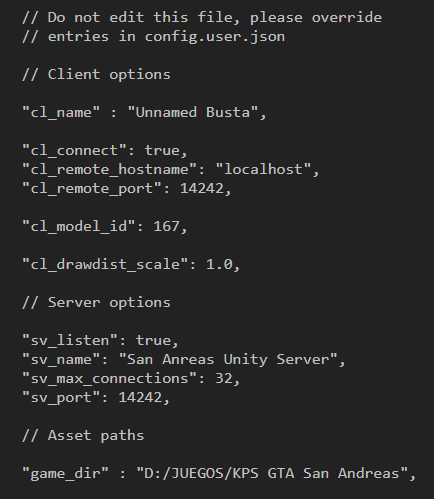 When running for the first time, the game will ask you for path to GTA installation, and will store that path in config.user.json. If you ever need to change the path, you can just edit this file. Press Escape while in game to open pause menu. You'll see there a lot of utilities, and among them, there is a window which shows all controls. Here is an extensive list of what should be implemented. Animations must be loaded/played by index – because different anim definition groups (man, woman, etc) use different anim names ( walk_civi, woman_walknorm, respectively). Validate path to GTA ? Dev profiles for the keyboard & mouse controls - ?? Peds (and worker peds) - ?? Make a paragraph for those categories: https://i.gyazo.com/07490f1d389fb3c4d6363e8d9810c0c1.png - ?? Have to fix this problem, modifying somehow Assembly Importer GUI to add to mark or something like that is saved to avoid it's compilation (https://cdn.discordapp.com/attachments/454006273751515163/455029337821806592/unknown.png) - It's fixed, but now the inspector looks ugly - ?? Car break light system doesn't work fine ? HUGE REFACTOR (compiling Assembly into DLLs will solve most problems) - what problems ?? gatekeeper1122, roadieroundup, Zazenora and 4 others like this. What a time to be alive, and have a VITA. If this project manages to port all SA on a A9 Chip, then shut up and take my money!